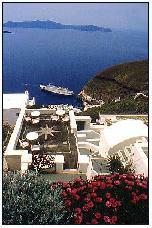 There is only one way to discover the enigma of Santorini... Be there! 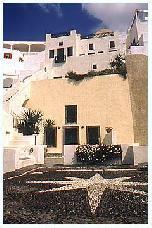 The Enigma Traditional Hotel Apartments are built on the face of a cliff, in the heart of the settlement of Fira, on the western side of Santorini Island. 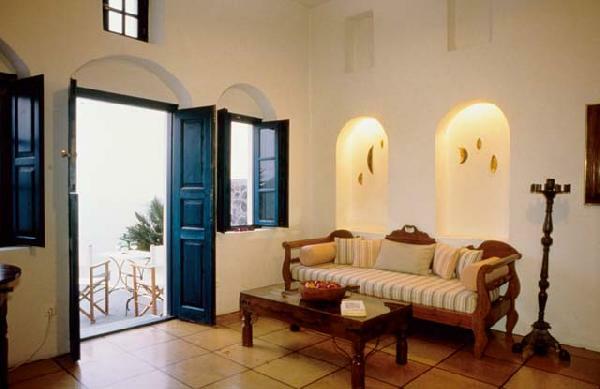 It s excellent position offers guests a magnificent view of the Aegean Sea, the Caldera, the volcano, the old picturesque port and fortress and of course, the world renowned Santorini sunset. The A’ class Enigma complex provides a wide range of high class services and facilities that will make your holidays carefree and comfortable. Our 8 luxurious apartments and suites are well-designed and include modern and elegant facilities that blend perfectly with their traditional architectural style. The complex operates from March 25 th to November 15 th. Any cancellation 30 to 13 days prior to arrival results in 50% payment of the entire booking. Any cancellation less than 13 days prior to arrival or no-show or reduced stay results in 100% payment of the entire booking. Είστε ιδιοκτήτης ή διευθυντής στο ENIGMA; Εγγραφείτε τώρα για δωρεάν εργαλεία, που μπορείτε να χρησιμοποιήσετε για να βελτιώσετε την καταχώρησή σας και να συνδέσετε την ιστοσελίδα σας και το σύστημα κρατήσεών σας.